Industrial Robots in PCB Industry? 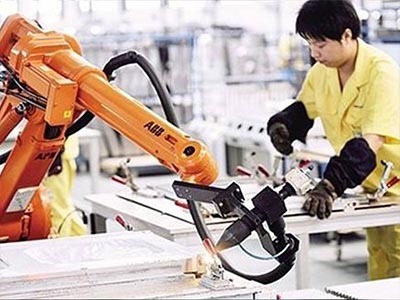 Nowadays，the application of industrial robots in PCB industry are in the stage of beginning and there are still lots of problems need to be solved. Many production lines in PCB industry are non-standard products (the products and equipments are do not based on the unified industry standards and specifications published by the country, but designed and fabricated by oneself according to one’s own needs). However, there is still a long way to go to apply robots in the printed circuit board industry. Because the robots are limited by the existing working space and the ability of the original equipments in the process of application. Meanwhile, confronted with the application of various sensors to improve the intelligence of robots. All these factors influence the large-scale application of robots in PCB industry. From single line application to multiple line application, the PCBmanufacturer need to invest a lot of money if they would like to introduce the robots to realize automated production. But they can expand the scale of application gradually after reforming the existing single line. From the application of simple robots to the application of AGV (Automated Guided Vehicle) combined with other intelligent devices, most of the material transfer between existing production lines is manual operation, which can be distributed by the combination of robots and AGV to achieve orderly material transfer. The application of robots in the original factory should be localized. But if the new plants need to realize automated production in full aspects, it means that introducing the application of robots and AGV is required. Get the process of manufacturing more intelligent and more flexible by the combination of industrial robots and IoT (Internet of Things). Last week, 2018 electronica kicked off in Munich. The electronica started in 1964 and it has been become the largest as well as the most influential exhibition in the world. There were various of electronic components exhibited, including switch device, power supply, printed circuit board etc.. The motto of 2018 electronica is “connecting everything”, showing the application of electronic components in various industry in the future, such as autonomous vehicle, intelligent industry and medical technology. With the development of automatic driving, the way of using vehicles has also become variety and the electronic components will be used in various fields. People will pay more attention to the interior of the car. As one of the essential elements in the car, lighting must take functionality and design into account. The cars will no longer be simple room that a man can sit. It will be an extension of living space and a place for relaxation as well as work. The light in the car will not only provide lighting, but also provide a series of additional function. For example, the drivers are able to focus on the real-time traffic by using dynamic and different colors lighting. LED is a nice choice for car lighting. Then what’s the nice choice for LED light? 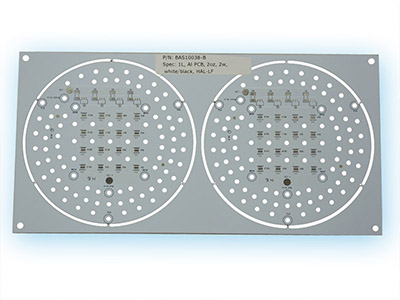 The aluminum PCB is one of a good choice for LED light. A vivid vision is painted like that there are full of cheerful chatting and laughing inside the car and the warming lighting make the room in the car do not cold, even though it is freezing outside the car. 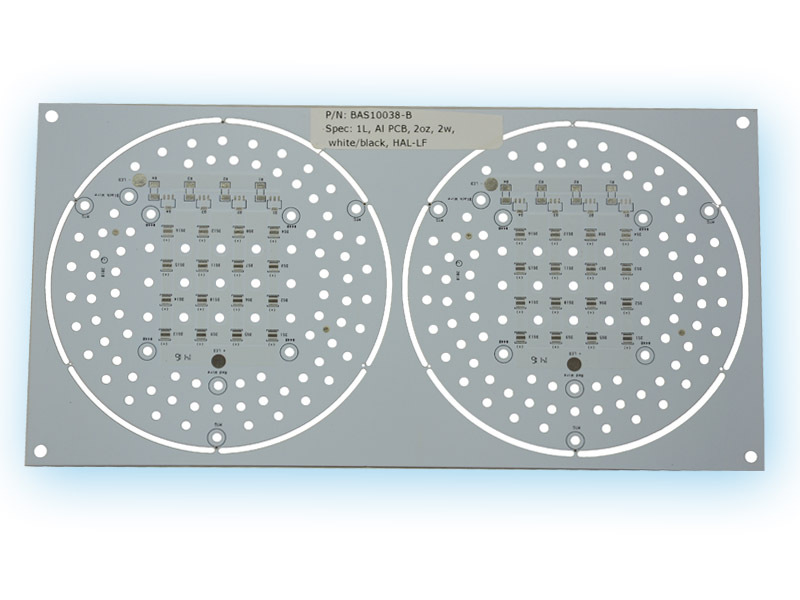 The aluminum PCBs of Best Technology will be your good choice for your warming LED lights. Choose us, you can always enjoy our best service at a good price. Why the PCB Needs to Be Transplanted? 1. 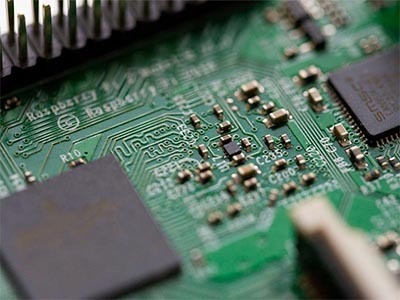 Improve the production efficiency of PCBs. 2. Use the high precision cutting equipment with CCD to cut the board with a cross and then transplant the fine PCS. 3. The transplanted fine PCS achieves the accuracy and strength of the normal PCB typing and meets the requirements of quality. So that realize cost saving and improve the efficiency of PCB manufacturing. Since established in 2006, Best Technology is always trying its best to improve the quality of products. In this way, achieve cost saving for our clients and to be customers’ best partner of PCB and PCBA in China. Since established in 2006, Best Technology tries its best to keep up with the times and we are always dedicated in broaden the foreign market. More and more foreign customers are attracted by our one-stop service and high quality products. 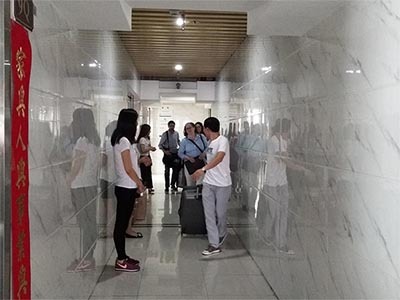 Therefore, there are more and more oversea customers come to visit us and do some field work to find more suitable products and more satisfying supplier of printed circuit board. 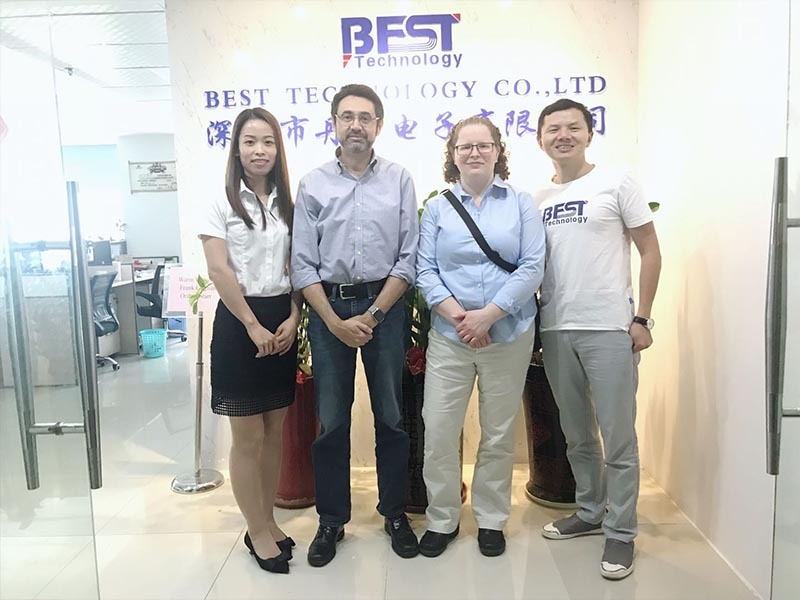 On November 8, 2018, American customer Frank and Oriana came to visit Best Technology. They have already built business relationship with us for 10 years and we see each other at least once or twice in a year. During the meeting, they mainly talked about the project next year with our company. They are really humorous and we had a happy conversation. Hoping we are able to work hand in hand to create more benefits for each other in the future. 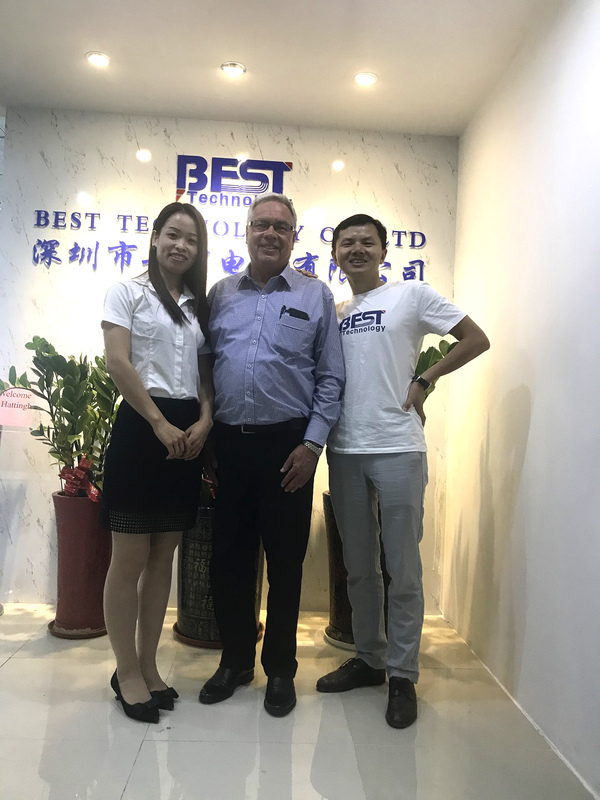 Best will be always dedicated to provide the most suitable products and the most satisfying service for clients, to be customers’ best partner of PCB and PCBA in China. 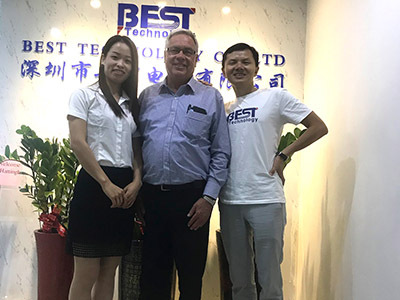 On October 31, 2018, an Australian customer came to visit Best Technology. He is so nice and considerate who brought some gifts to us. Meanwhile, we also showed our warmly welcome to him. To begin with, the customer had a short meeting with our general manager Peter. The development situation and development trend of Best Technology were introduced in details by Peter. 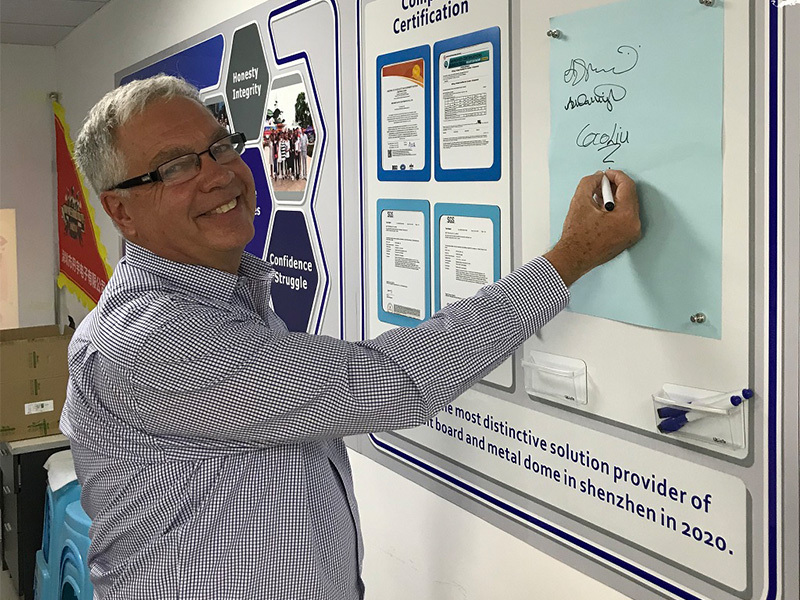 The customer was satisfied with our company culture and signed his name on the company cultural wall. During the visit, the customer knew more information about our company and products, thus paving way for further deals in the future. We also took a photo in the office of Best Technology. After the short meeting, he went to visit our printed circuit board factory to learn further details of manufacturing process. The customer spoke highly of our equipment. 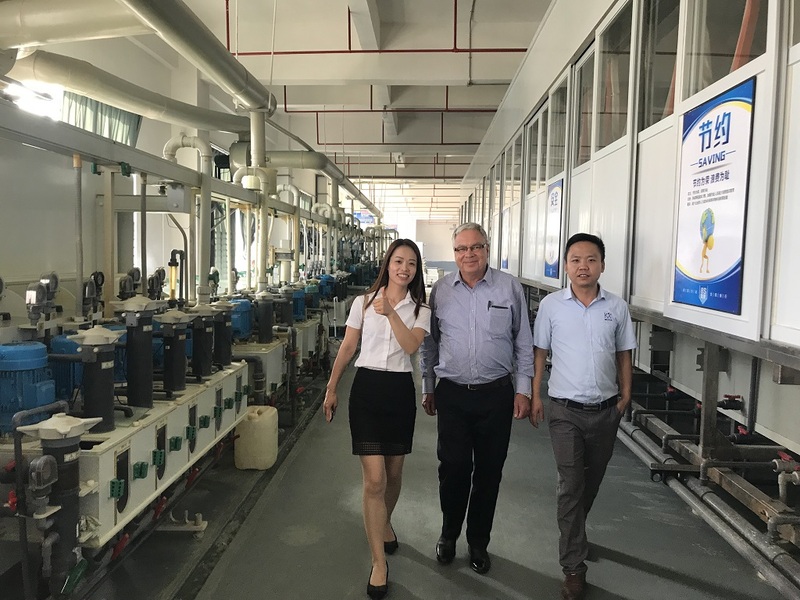 Meanwhile, he was impressed by our good operating environment and strict quality controlling system. With the development of the integration of global economy, Best Technology is ready for the challenge. In the future, we will be always dedicated to provide the most suitable product and the most satisfying service for the clients，to be customer’s best partner of PCB and PCBA in China..
You are currently browsing the PCB & MCPCB - Best Technology blog archives for November, 2018.